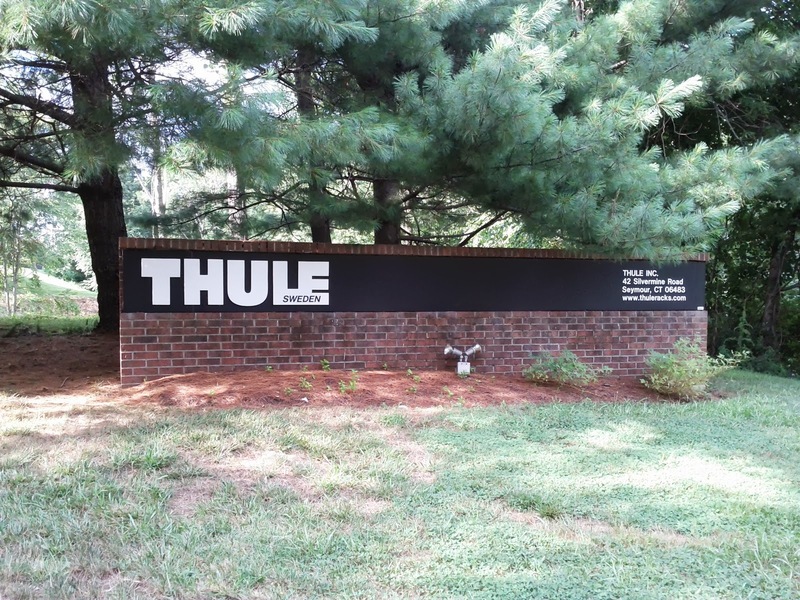 Had to make a CT NEMBA service call to Thule in Seymour on Wednesday. A few of the employees, who are NEMBA members, have an active trail project in the Quillinan Reservior section of Naugatuck State Forest that wanted to become Trail Ambassadors. Wednesday evening I drove over to Seymour and they gave me a tour of their facility and then I did the needful training. Then we headed over to the property and a did a quick trail ride. I was on the Kona Singlespeed because the Spot needs some work, especially after Tuesday Rides on the Roxbury Dirt Roads and Singletrack. 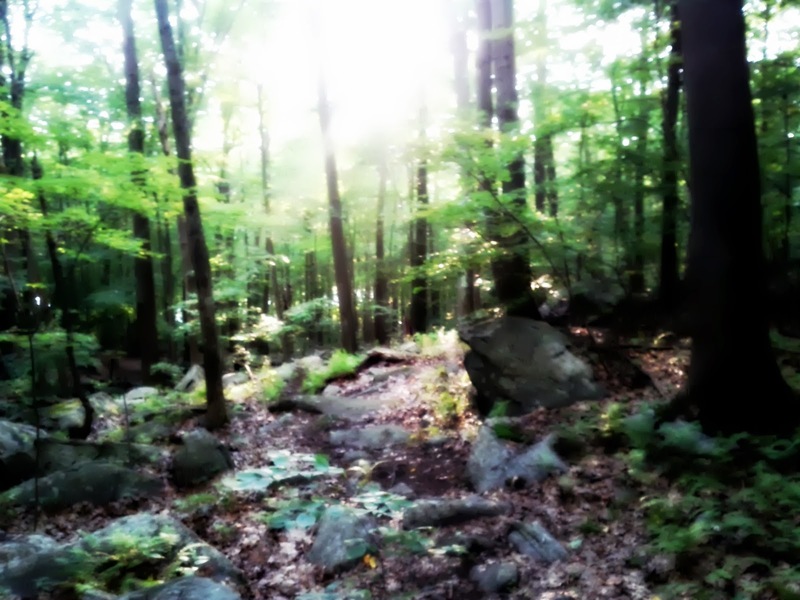 The new trail is really awesome and I found it pretty challenging. There are all sorts of little rollers here and there, rocks to huck and no hike-a-bike climbs, even for a fat, old singlespeeder like myself. The singletrack here is T-E-C-H-N-I-C-A-L so you better bring your A-Game if you are going to ride these trails, which I was lacking on this ride. Wrong riding shoes and eff'ed pedals made for a no so fun riding experience on a new trail system (I know, excuses, excuses). They are wicked fun and I am already trying to figure out when I can get back for a self guided, get lost shot at all the trails. 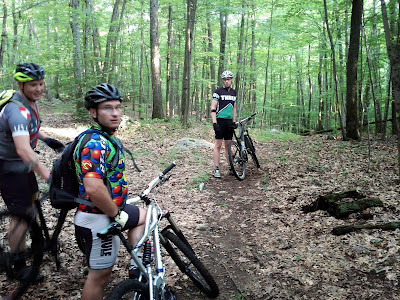 Light was waning so we had to cut the ride short and ride back on some fire road, which had a monster descent that reminded me of Lower Paugussett State Forest. Riding up that would be freaking fun on Singlespeed. As I mentioned earlier, the tech eats up the rider and the bike. 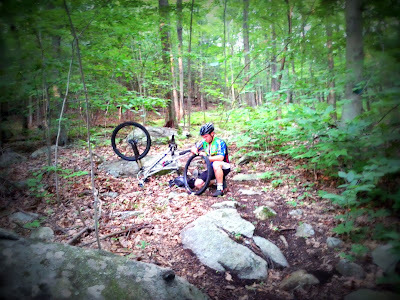 I took a few falls and the Stew (pictured below) flatted in one particularly technical section of the trail. 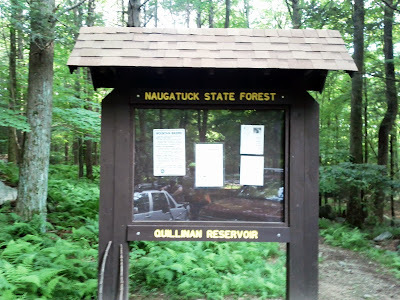 For a releatively new trail system this place has a lot of potential of becoming a great riding location. Also, if you don't mind letting your knobbies touch pave, there a quite a few other nearby riding locations that would make an epic day of riding. 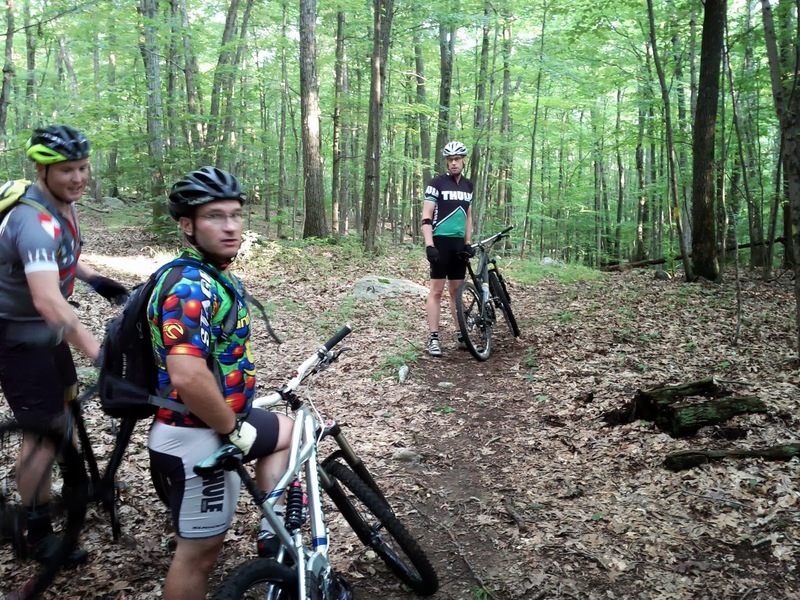 Need to thank Travis, Ian, and Stew for the tour of the plant and the singletrack at Quillinan. They also gave me some Thule swag, T-Shirt and a Water Bottle. Thanks again!